IVA (Individual Voluntary Arrangement) and Bankruptcy are legally binding, formal arrangements between two parties. These contracts are usually between a party and its creditors, and a creditor has to comply with the contract until it is matured. Both IVA and Bankruptcy are approved by the court. IVA, or Individual Voluntary Arrangement, is a legal contract between you and your creditor. The time period of this contract is usually 5 years, and you are required to pay what you can afford to pay outside your personal expenses. IVA includes all the unsecured loans, and this agreement can only be initiated by a licensed professional known as IP, or Insolvency Practitioner. The purpose of these arrangements is to help individuals in times of financial difficulty, and devise a formal contract to settle the unsecured portion of debt within a reasonable time period. The interest payment and other financial charges are locked at 0% and creditors are not allowed to demand additional payments. Bankruptcy, on the other hand, is a legal proceeding that involves an individual who is unable to pay the outstanding loan. It is usually initiated by a debtor, who files a petition on behalf of a creditor. The assets of a debtor are carefully evaluated and measured quantitatively, so as to use them for loan repayment. Once the proceedings of this arrangement are over, the debtor is discharged from all the financial liabilities that he was liable to pay before he filed for bankruptcy. It provides creditors a fair chance to retrieve a portion of repayment on the basis of available assets. Duration of the Arrangement – In case of Individual Voluntary Arrangement, the time period of the arrangement is usually 5 or 6 years if you are unable to release equity. But in case of bankruptcy, the time period of an arrangement normally lasts a year. However, there are cases when you have to make payments for up to 3 years. Effect on Property – In case of the IVA, you are not required to sell your property, such as home. But there are times, when you have to release the property, which is relatively expensive and hard to do given the impact of an IVA on your credit ratings. On the other hand, you are required to release any equity over and above a certain amount (£1,000 in UK), and you may even have to sell your house if the need be. Advertisement – The IVA is not advertised, but it appears in the Individual Insolvency Register, which is publicly available to everyone. But the Bankruptcy arrangement is always advertised in the newspaper. Impact on Career – It is unlikely that an IVA will affect your employment opportunities. However, there are certain organizations that do not hire an individual with an IVA. Individuals, who went through bankruptcy arrangements, cannot do certain jobs under legal obligations. For example, an individual cannot work on a position of local government councilor, or cannot be a company director if he is a bankrupt. Moreover, like IVA, it may also affect your ability to do other jobs where it is included in the employment conditions. Judicial Investigation – In case of an IVA, there will no judicial investigation into your financial affairs, but in case of bankruptcy, the official receiver will look into your financial matters, and report the irregularities to the concerned court. It can also result in criminal lawsuits. In a nutshell, it can be said that you should go for an IVA if you have to protect a complicated asset (shares in unlisted family business) or if you hold an important position that could be affected by bankruptcy. But if you fail to make a mandatory payment in case of an IVA, your IVA arrangement will be cancelled and a creditor may proceed with bankruptcy, which create a worse financial scenario than if you select the bankruptcy arrangement in the first place. Hira Waqar. "Difference between IVA and Bankruptcy." DifferenceBetween.net. 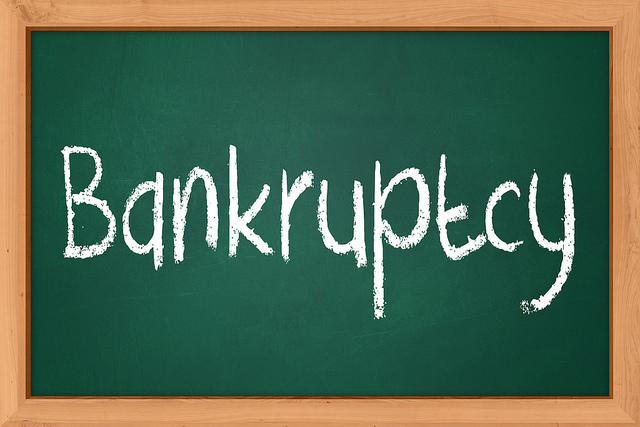 March 24, 2015 < http://www.differencebetween.net/business/difference-between-iva-and-bankruptcy/ >.